►►Pathologist says MI6 spy may have died alone. Leading British pathologist Richard Shepherd has told the BBC there is “credible evidence” that MI6 officer Gareth Williams died alone. 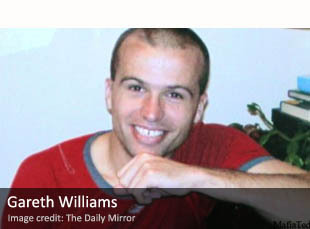 Williams, a mathematician in the employment of Britain’s signals intelligence agency, GCHQ, was found dead in a padlocked sports bag at his home in Pimlico, London, in 2010. According to Dr. Shepherd, bags identical to the one Williams was found in, can be locked by someone inside the bag. ►►Turkey may indict Israeli officers Over Gaza flotilla raid. A prosecutor in Turkey has prepared indictments and recommended life sentences for four senior Israeli officers over the killing of nine activists aboard a Gaza-bound aid flotilla forcibly intercepted in international waters by Israeli commandos two years ago. The indictments, which have not been formally approved by the Turkish judiciary, could further strain relations between Turkey and Israel, which were once close but which deteriorated badly after the flotilla raid on May 31, 2010. ►►Czech secret services alarmed by drastic drop in funding. 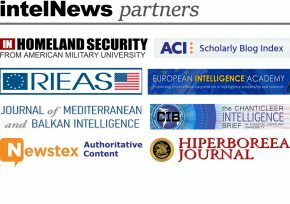 The BIS, Czech Republic’s counterintelligence service, is used to operating on Kč 1.149 billion (around US$60 million). According to the Finance Ministry’s plan, the agency’s budget will be reduced to Kč 911 million (US$45 million) in 2013. The news has prompted former interior minister and current member of parliament František Bublan to accuse the government of effectively leading to the spy service’s “liquidation”. But Finance Minister Miroslav Kalousek argues that all state institutions must cut back in order to help achieve a balanced budget by 2016. ►►N. Korea planned to trade nukes for full ties with US. North Korea in 2008 indicated it would retain its nuclear bombs until the end of the six-party talks as a final bargaining chip for attaining full diplomatic relations with the United States, according to US diplomatic cables leaked recently by the anti-secrecy group WikiLeaks. ►►Judge refuses to sanction CIA for destroying torture tapes. A federal judge won’t hold the CIA in contempt for destroying videotapes of detainee interrogations that included the use of a torture technique known as waterboarding, ruling instead that the spy agency merely committed “transgressions” for its failure to abide by his court order. The Obama administration has kept its promise to the CIA. ►►Turkey says NATO members will not share intelligence with Israel. Turkey has says it is certain that NATO member states will keep their promise of not sharing the Alliance’s intelligence within with Israel. Turkish-Israeli relations badly damaged last year, after Israeli naval commandos stormed a Turkish ship carrying humanitarian aid to Gaza to breach the naval blockade, killing nine Turkish civilians. ►►Turkey has names of Israeli soldiers who attacked Gaza Flotilla. According to Turkish media, government officials succeeded in amassing the list of 174 names of officers and soldiers involved in the 2010 MV Mavi Marmara attack, by planting intelligence agents inside Israel. Turkish government officials have denied the reports. ►►Ex-MI5 chief to hear deportation case of alleged spy. A British judge has ruled that Sir Stephen Lander, former director of MI5, Britain’s domestic intelligence service, can help to decide whether Katia Zatuliveter should be deported from the UK for allegedly spying for Russia. Zatuliveter, a Russian citizen who worked as an assistant to former British Member of Parliament Mike Hancock, may be deported on the basis of espionage evidence gathered by MI5. ►►Analysis: Pakistan’s spy plot to influence Washington. Syed Ghulam Nabi Fai came to the US on Saudi money with hopes of helping people in the disputed Indian territory of Kashmir. But he found himself spending millions on behalf of Pakistan’s notorious Inter-Services Intelligence and, now, under arrest. An excellent article by The Atlantic‘s Kim Barker, Habiba Nosheen, and Raheel Khursheed.